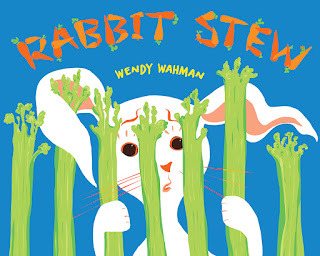 Wendy Wahman is the author and illustrator of the new children's picture book Rabbit Stew. 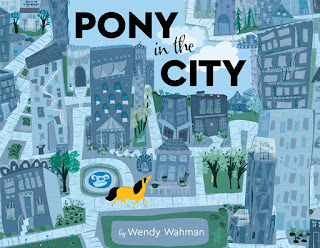 Her other books include A Cat Like That and Don't Lick the Dog. She lives in Tacoma, Washington. Q: How did you come up with the idea for Rabbit Stew, and—of course, without giving away the ending!—did you know how it would end before you started writing the story? A: I make my dog’s food. Years ago, I was mixing up a massive pot of meat and veggies for them, and “rabbit stew” popped into my head. The ending was the thought, so yes, I knew instantly. It's all in the title, isn’t it. Depending on how you read it. At first the chefs were a brother and sister. My friend, author/illustrator, Nina Laden suggested making them foxes, and the story quickly took a twist. 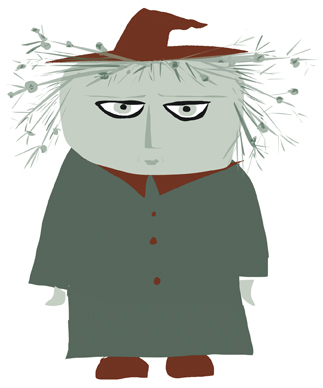 Q: Did you work on the illustrations and the text simultaneously? A: Rabbit Stew was unusual in that I wrote it down with no art to inspire it. The idea was right there, and I just wrote it down. It’s a counting book, counting down from ten to one, but we took out the numbers. It’s also a color book; each ingredient is a different color. Later, when we needed more depth and tension, I added the rabbit family. When I’m writing I’m also making art notes and sketches on the borders. I make a lot of storyboards along the way and work with my wonderful critique group, The Whatsits, and other trusted friends. Q: What do you hope readers take away from the story in Rabbit Stew? A: Take good care of those you love; and animals are not meat. Q: Who are some of your own favorite authors and illustrators? A: The list is long, but to name a few, Roger Duvoisin, Maira Kalman, Ezra Jack Keats, Roald Dahl, and Lauren Child. 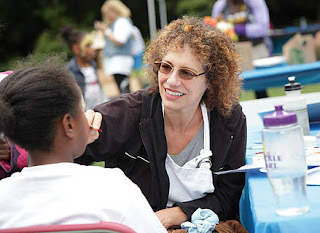 A: Nanny Paws, (Spring 2018) a story inspired by my poodle LaRoo, and the kids next door. For a while, LaRoo and I helped Ian and Tierney get up and off to elementary school. They started calling her Nanny LaRoo. Ian and Tierney are now in middle school, and I'm dedicating the book to them. Their dog, Loki makes a cameo appearance in the book. I think they’ll like that. 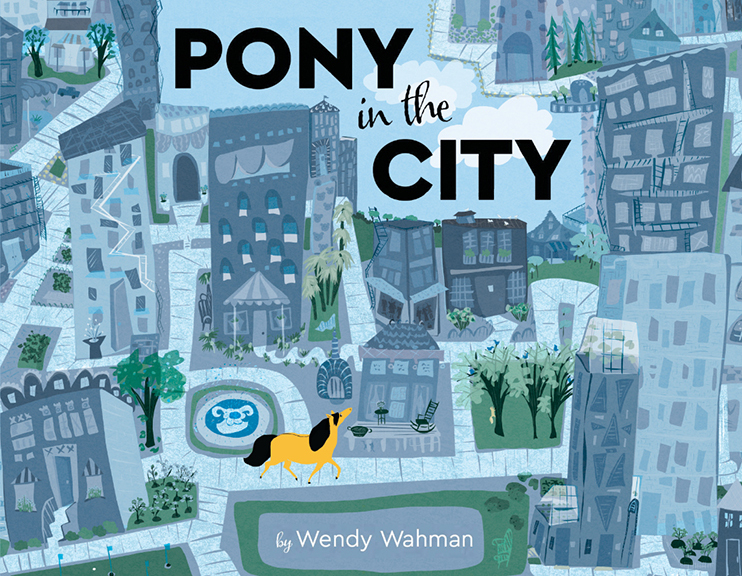 I’m also percolating a sequel to Pony in the City, a book near and dear to my heart that launches in September. So, keep an ear to the ground for Otis and his friends at the Pony Paddock.